2114. 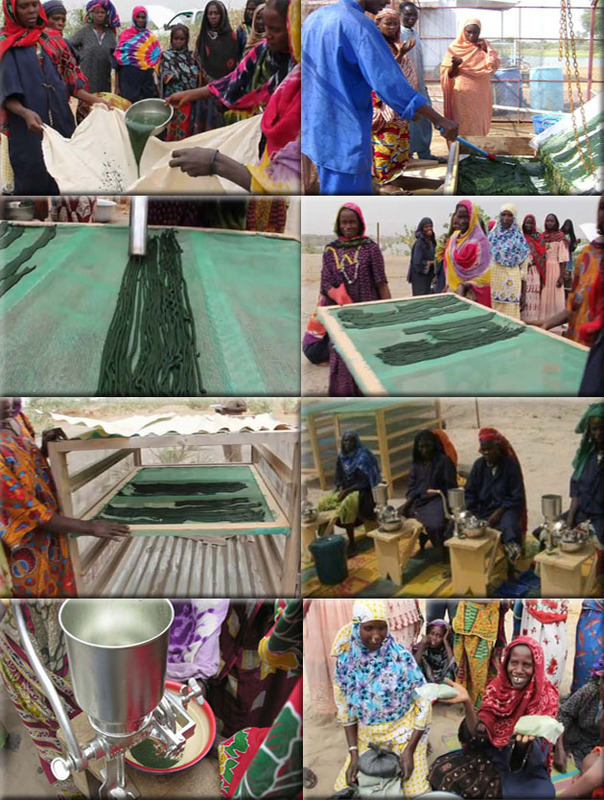 Spirulina Ladies of Chad, by Georges Bonnin. 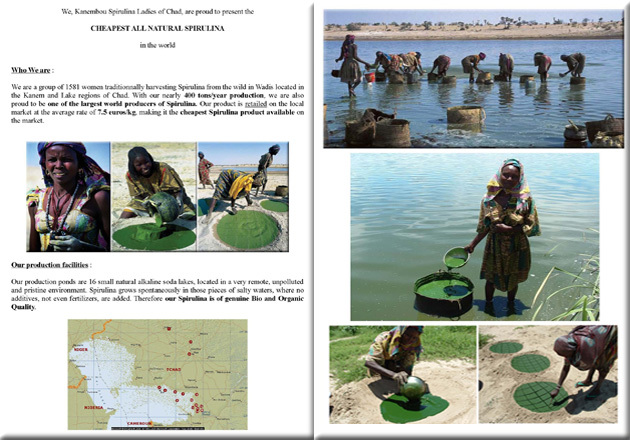 Kanembou Spirulina Ladies of Chad. We are a group of 1581 women harvesting spirulina from the wild in wadis in the Kanem and Lake regions. Producing nearly 400 tons/year, we are one of the world’s largest producers. Our product retails on the local market at the average price of 7.5 euros/kg, the world’s cheapest. For more information about this entry, contact the author. email: georges_bonnin@yahoo.fr. La Spiruline du Chad. Les femmes productrices de spiruline à Brandji Tchad. 4:55 minute video of La Spiruline du Chad. (2011).